In 1998, Stephen Heywood, the brother of our co-founders Ben and Jamie, and friend of Jeff Cole, was diagnosed with ALS. They immediately went to work trying to find new ways to slow Stephen’s progression, and after 6 years of trial and error, they built PatientsLikeMe in 2004. Mary Ann Singersen also has family experience with the neurological condition. Her father, Edward, was diagnosed two years before Stephen, and she co-founded the A.L.S. 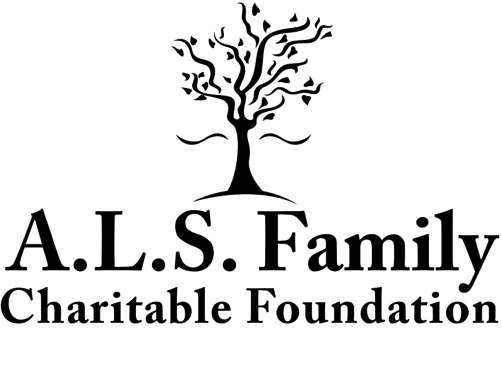 Family Charitable Foundation, now a partner of ours here at PatientsLikeMe. Mary Ann recently sat down for a blog interview and spoke about her inspiration to start the organization, her philosophy about ALS and what advice she would have for anyone living, or caring for someone, with ALS. Can you share with our followers how your own family’s experience with ALS inspired you to start the A.L.S. Family Charitable Foundation? My father, Edward Sciaba Sr., was diagnosed with ALS in 1995. Going through this ordeal really opened my eyes to the plight of not only the patients but their families as well. In 1998 he lost his battle with ALS. Our Co-Founder Donna Jordan also lost her brother Cliff Jordan Jr. to ALS the same year. (Our “Cliff Walk” is named for him). We met through volunteering in the ALS community and thought that since we already had the Walk in Cliff’s name, we would like to be sure that the funds raised were used to help patients with their financial and emotional needs. We also wanted to further research efforts so we donate a portion to ALSTDI and UMASS Memorial Medical. Donna and I went on to co-found the A.L.S. Family Charitable Foundation and we pride ourselves on our ability to put patients and their needs first. We offer many in-house programs that help with family vacations, day trips, respite, utility bills, back to school and holiday shopping, college scholarships for children of patients, etc. At this time, our programs are restricted in that they are available to New England area residents only. We know you have your biggest event of the year – The 19th Annual “Cliff Walk” For A.L.S. – coming up on September 13. Can you share some more information about the event and its history? How can people get involved? My co-founder and friend Donna Jordan’s brother Cliff was diagnosed with ALS at 34 years of age and he wanted to do something to support research efforts, so he held a walk on the Cape Cod Canal and 60 people came and raised $4,000. Every year since then, the Walk has grown and grown. Last year, we welcomed 1,500 participants and raised over $220,000. The “Cliff Walk®” is a seven mile walk along the Cape Cod Canal followed by live musical entertainment, fun activities for the whole family and lots of great food! If folks wish to come to the Walk we ask them to download a pledge sheet or make an online fundraising page. On your website you say, “Until there is a cure…there is the A.L.S. Family Charitable Foundation.” Where do you and the organization see research focused in the future? What’s the next step? I can only say that I hope with all the funds raised by ALS organizations around the world and with the success of the Ice Bucket Challenge, there just has to be a cure on the way. In the meantime, we are here to help in any way we can. We’re thrilled to be a partner of the A.L.S. Family Charitable Foundation. How do you think those living with ALS can benefit from PatientsLikeMe? How can PatientsLikeMe ALS members benefit from the A.L.S. Family Charitable Foundation? PatientsLikeMe is a great resource for anyone living with any condition – not just ALS. It’s also great for caregivers. ALS patients more than any other condition are online researching their symptoms, what helps, what doesn’t. They and their collaboration with each other may hold the key to better treatment options and someday maybe a cure. Our Foundation prides itself on putting patients and their needs first. Our services are open to New England area residents and include granting funds to help with equipment, bills, respite services, college scholarships to children of patients, vacations, day trips, back to school and holiday expenses and any other needs we are able to meet. So please if you or a loved one have ALS and live in New England contact us for assistance. 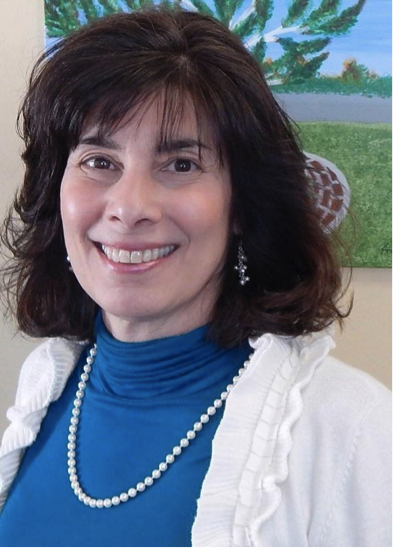 Call Debbie Bell our Patient Services Coordinator at 781-217-5480, email her at debbellals@aol.com or call our office at 508-759-9696 or email alsfamily@aol.com. We also wish to find a cure for our loved ones living with ALS, so we fund research efforts at ALS TDI and UMASS Memorial Medical Center. From your own personal experiences, what advice would you give to someone living with ALS, and to his or her family members and friends? Take help anywhere you can get it. Don’t ever feel like you shouldn’t ask because someone who needs it more will be denied, or because you have received help from another organization. Funds we and other organizations raise are for you and people like you. Service animals are often a topic of conversation in the PatientsLikeMe community, and many members frequently share their experiences with their furry friends. 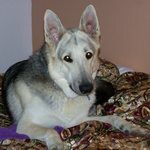 For example, Ted wrote about his service dog Catti-Brie in his blog interview. Previously, members shared their experiences with service animals in a Canine Caretakers blog post, and others contributed to forum posts on the same topic. If you would like to share about your service animal, head to PatientsLikeMe. Don’t forget to share a cute picture of your pooch (or other animal)! Share this post on Twitter and help spread the word for service animals.